Before residing in our area Joel Gruenke began his journey in Allentown, PA. In 1986 he graduated from Valley Forge Military Academy and earned his Bachelors degree in Computer Information Sciences at Muhlenburg College. From 1996 – 1999 Joel worked for IBM Global Services as an Information Technology Project Manager assisting IBM with their E-Business. In 1999 Joel became the Project Manager of AT&T’s WorldNet Internet Service Provider deploying their high-speed internet but left in 2001 to pursue his passion in real estate. Today Joel is in charge of generating buyers for the Team’s listings by using his specialized knowledge of the internet and other marketing activities. Joel currently holds the Internet Marketing Specialist Designation (IMSD.) IMSD agents main purpose is to keep ahead of the curve of technology as it applies to selling real estate. Joel’s knowledge of internet marketing has proven to be a powerful resource to the Team in today’s new real estate market. 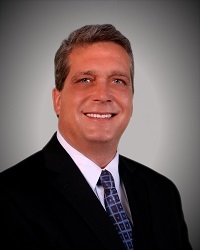 In addition to his duties in the marketing department Joel also holds the Certified Distressed Property Expert (CDPE) designation which allows him to help clients who have fallen behind on their mortgages. “As first time home buyers my husband and I had a ton of questions and Joel took his time to explain the entire process to us. His down-to-earth, reasonable, and straight forward approach was comforting and appreciated. He was always on our side and never wasted our time on houses that weren't right for us. Joel's personable approach, knowledge of the industry and sense of humor made our first home purchase experience less stressful. I would recommend him (and already have!) to any first time home buyer or anyone looking to buy or sell real estate. I have worked with Joel multiple times in the past when I was in a residential finance role. Joel is personable and took great care of my clients. He is also creative and strives to impress the customer each and every time. When it came time to refer a real estate agent to my own family-Joel was the first person I called. process, but he also listened intently to our needs and went above and beyond what I would expect out of an agent. After the whole process, I now consider Joel a friend. I highly recommend him as a listing agent.